Amazon has fast become the go-to place for many shoppers due to the variety of products available to buy. You can get almost anything and it will arrive the next day, thanks to Prime. With its rise in popularity, it is no surprise that there are now more retailers, and an increasing number of brand owners, distributors and wholesalers who sell and advertise their products on Amazon. Thanks to Amazon’s rising popularity consumers now have more choices than ever to look for different sellers and compare prices. But for sellers, it is becoming increasingly difficult to be found by consumers. This is where Amazon SEO and PPC play a big role. 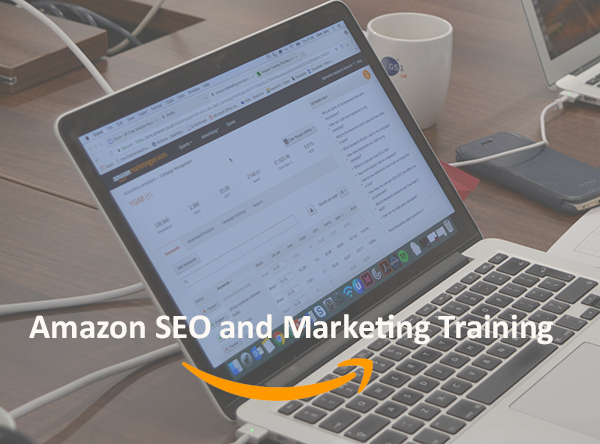 Amazon SEO involves creating keyword targeted copy to ensure your products are appearing in SERPs for relevant terms, and PPC involves paid advertisement. Both SEO and PPC go hand in hand, and this training course helps you to understand how SEO and PPC help your products to rank well in search results. Amazon advertising is available for both Seller Central and Vendor Central sellers. There are three types of ads: Headline Search, Product Display and Sponsored Product. With each of these, you are able to ‘buy’ a position at the top and bottom of Amazon’s search, the right-hand side margin and on competitor product pages. As a seller, advertising on Amazon is a fantastic opportunity to increase visibility and sales. Most importantly, Amazon’s sponsored ads are super easy to handle once you know how. In this training course, you will earn how to build organic product rankings and how to get the best out of Amazon advertising. One to one or a group session available. Please note these are general guidelines and we will personalise each session based on your product/category and answer all your queries.